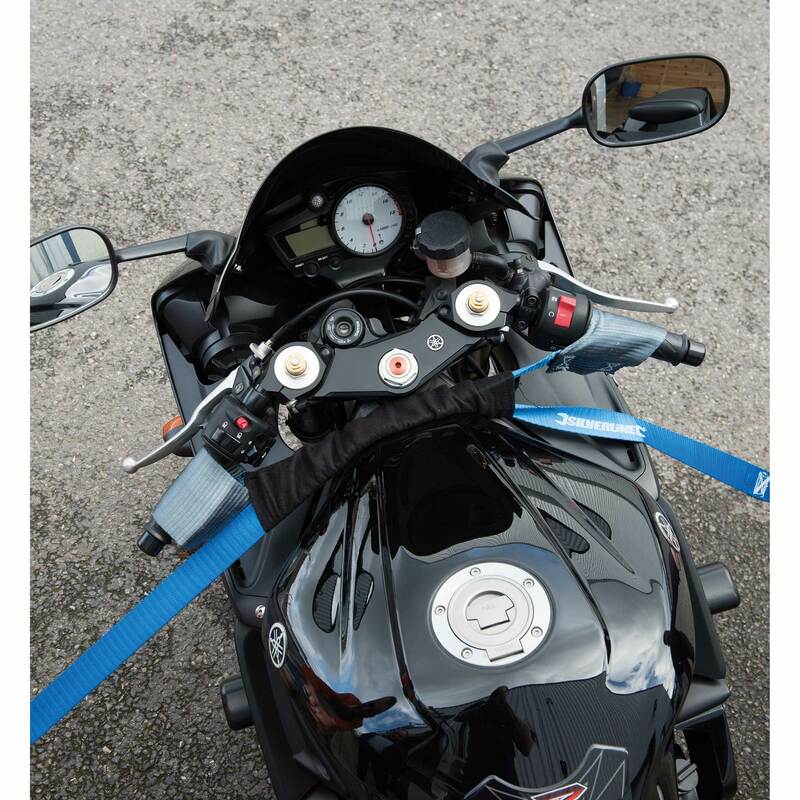 Secures motorcycles, motocross bikes, quadbikes, ATVs and jet-skis in vans and on trailers. 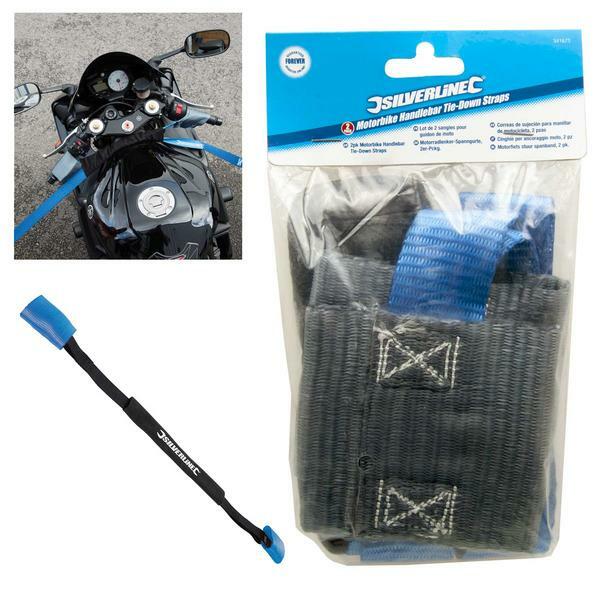 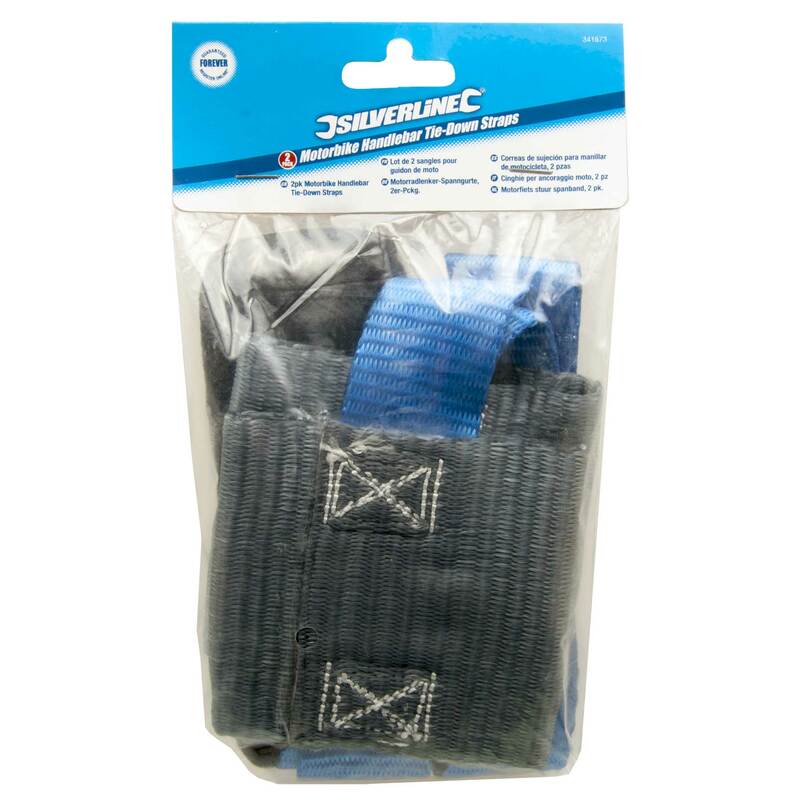 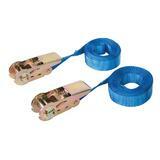 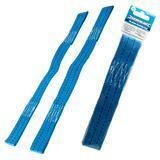 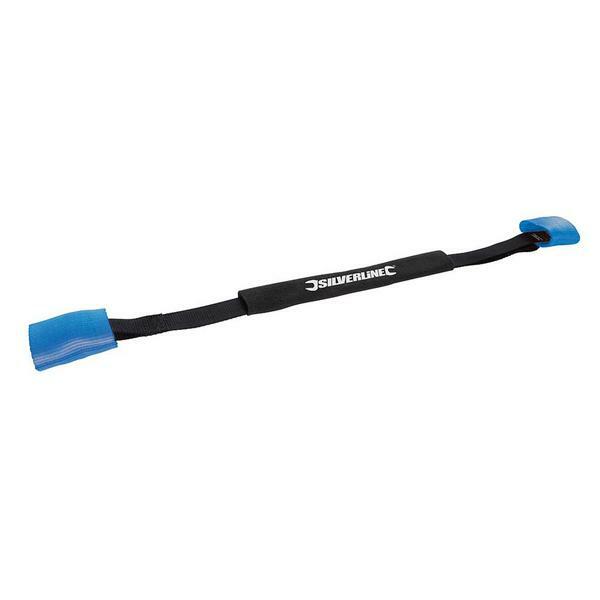 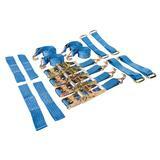 Durable and protective 900 x 35mm nylon handlebar tie-down straps with double reinforced loops. Thick protective fleece sleeve helps prevent wear and scratches on vehicle parts. 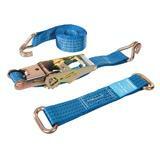 Universal fit and easy adjustment. 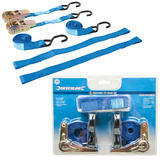 Use with standard S-hook ratchet tie-down straps (not included).